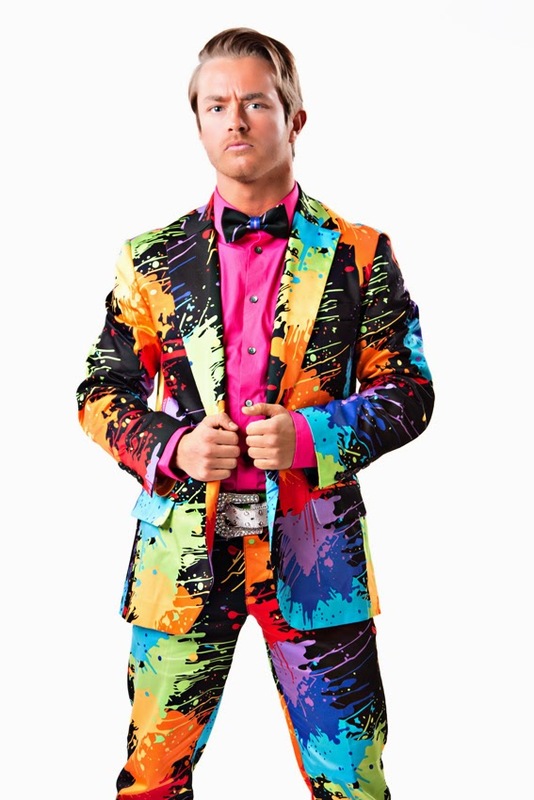 Back on New Years Day 2013, some fella from Birmingham going by the name of Rockstar Spud hit our TV screens on TNA's British Bootcamp. At the same time, Derrick Bateman had gone almost 2 months without a match with his then employer, WWE. The debut edition of Feud for Thought will look at how the two became a beacon of light on TNA television over the next two years, initially as allies and more recently as rivals. Ethan Carter III made his debut on TNA television at Bound for Glory 2013, just six weeks later on Impact Wrestling, the Chief of Staff character was born as Rockstar Spud returned to TNA TV. A partnership was born that would last for a whole year, with the pair involved in a number of backstage skits together, developing the relationship between the two. Spud would involve himself in EC3's matches, all under the watchful eye of Madamme Dixie Carter. It was through his characterisation of the Chief of Staff character that would really excel throughout this time. Every little detail seemed to be thought out and even when handed questionable content to perform Spud seemed to find something that would keep the audience glued to his performances, whilst wanted to see him get his head kicked in at the same time. At this same time Carter was running through the TNA roster, maintaining his Undefeated streak. Whilst the matches were never particularly notable, I believe it was this steady build of cheap victories, DQ and Countout wins, that helped develop the EC3 character and that would become even more important when the two would eventually feud. The pairing was always based around Carter being in charge, whilst Spud seemed infatuated with both EC3 and his aunt Dixie, seemingly doing anything to make sure they were happy. 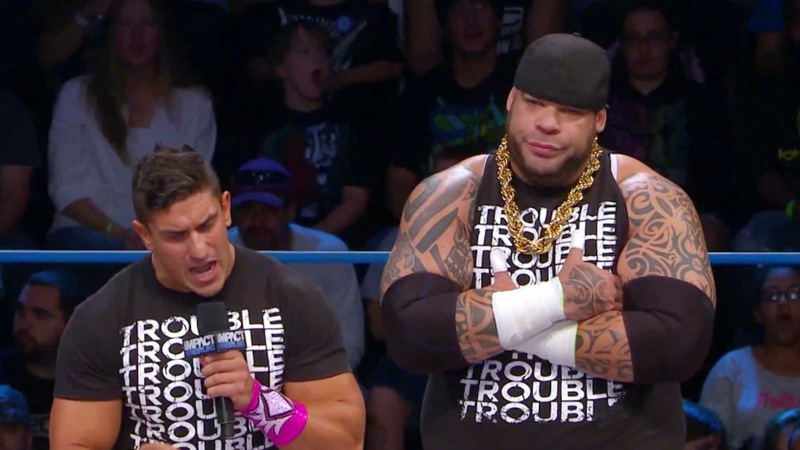 However, the show build to implosion began when Dixie ended up going through a table at the hands of Bully Ray, with EC3 blaming both Spud and hired gun Rhino for the incident. It was October 8th that saw the feud ignite, with Spud snaping and slapping EC3, only to end up fired as Chief of Staff. Their feud would last over five months before the two would have a one on one singles match. With Carter bringing in Tyrus as his bodyguard and Jeremy Borash, Mandrews and Mr. Anderson all turning up to help Spud at some point or another, the two were allowed to collide indirectly at different times. It was refreshing to see a feud go so long, whilst also not having the two facing each other in twenty seven singles matches along the way. With Carter seemingly obsessed with removing Spud's hair in an attempt to humilate him, this became the focal point of their when TNA returned to our screens on Destination America in 2015. Many a mans head was shaved bald in the crossfire, many a follicle fell in courageous battle for their cause. All the while you feel the swell building towards the two finally colliding, especially across the shows taped on the UK tour. The large crowds seemed to push both man's performances, everything seemed that little bit more important to them, in a time when TNA was really upping it's game. So when they finally did collide on the 13th March episode of Impact, this match between someone rotting in WWE two years ago and 5' 4'' lad from Birmingham was main eventing the show. And bloody hell did they deliver! A brutal encounter, full of passion and hatred, drama and excitement. The crowd loved it, buying into every movement the pair put together and that allowed Carter and Spud to shine even more. By the finish, with Carter pulling out the win, it impossible not to feel for Spud and even though you'd hate to say it, be impressed by EC3. He'd put a hell of a shift in to get something he wanted. Luckily, a post-match segment changed that and we were reminded exactly why we were supposed to hate Carter as he teased a reconciliation before destroying Spud and taking his hair. A fitting end to a long running feud, Carter will be able to move forward and up the card towards a full time main event berth that he seems to have his name written all over. Spud on the other hand seems to be moving into the X-Division, and won't be harmed at all by his competitive loss to Carter, in fact, the crowd might be behind him even more. I know I am rallying behind Spud- he is one of the greatest wrestlers to ever come from the UK; I am in Spud's corner 100%! #I'm With Spud!